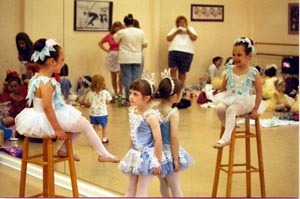 Jayne Richardson Dance Studio students waiting for their turn to perform. now offers classes for all ages at The Shed! 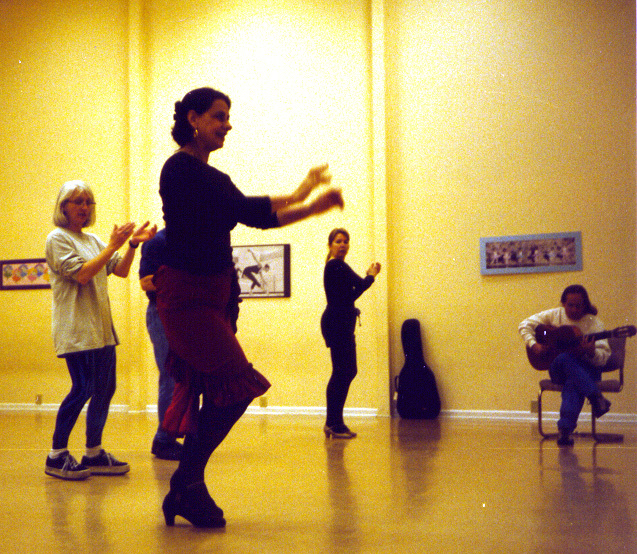 Dance instruction was first offered at The Shed in Fall 1996, when Jayne Richardson moved her classes from Pigeon Point to The Shed Center for the Arts. 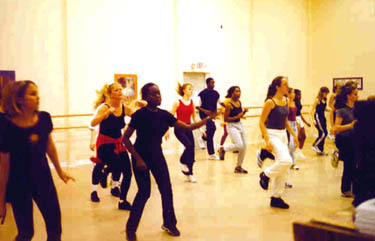 Classes were held on the stage in the main theatre building, until The Shed Multi-Use/Educational Building was completed in January 1997! With the completion of The Shed Multi-Use/Educational Building, Jayne's classes moved into the state-of-the-arts Dance Studio 1, the first dance studio in Northern Beaufort County with a professional dance surface on a "sprung" floor system. Beaufort County School District, various student & professional workshops for teachers, students and/or community. Contact Henry Chambers of Beaufort Realty for property pricing, dimensions, specifics, etc. See The Shed Facilities for property layout, and other pages on The Shed web site for additional photos. Rennie Harris Hip Hop master class.